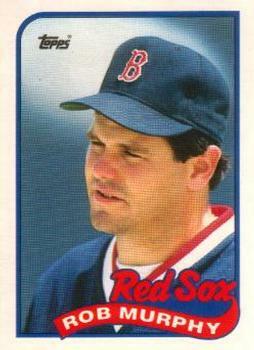 Rob Murphy was one of baseball’s better left-handed middle relievers in the late 1980’s. After brilliant high school and collegiate baseball careers, this native of Miami, Florida was the first round pick of the Cincinnati Reds in the secondary phase of the 1981 amateur draft. During his rookie season with the Reds in 1986, he appeared in 34 games, won all six of his decisions and his 0.72 ERA that year remains a National League record for pitchers throwing a minimum of 50 innings in a season. In 1987, he appeared in a career high 87 games and struck out 99 batters in 100 innings of work. The following year he led the NL in appearances with 76. Then two weeks before Christmas in 1988, the Reds and Red Sox made a deal in which they exchanged first basemen and relief pitchers. Boston got Murphy and Nick Esasky and sent the switch-hitting Todd Benzinger and right-hander Jeff Sellers to Cincinnati. At the time, Esasky was entering the final year of his contract, but even so, on paper this deal looked like it leaned heavily in Boston’s favor and in 1989, that’s exactly how it played out. Esasky had a career year for Boston with career highs in homers with 30 and RBIs with 108. Murphy meanwhile led the Red Sox bullpen in appearances with 74, pitching in front of closer Lee Smith. Though he lost seven of twelve decisions that year, he did pick up a career high nine saves and posted an impressive ERA of just 2.74. Murphy then faltered in 1990. Though he picked up another 7 saves, his ERA ballooned to well over six and he lost all six of his decisions. He followed that up with a bad outing in the only postseason performance of his career in that years ALCS versus Oakland. One week before the ’91 season was scheduled to open, Boston GM sent Murphy to Seattle for a starting pitcher named Mike Gardiner. Murphy continued pitching in the big leagues till 1995 and then got into the thoroughbred horse breeding business. Andrew Miller has something in common with Michael Jordan. After his junior year at the University of North Carolina, just about every pro team wanted the 6’7″ southpaw, who had gone 13-2 for the Tar Heels in 2006 with a school record 133 strikeouts. It was the Tigers who used the sixth overall pick in that year’s draft to grab Miller in the first round. While the Bulls front office is still giving thanks every day that the team picking ahead of them in Jordan’s draft year chose Sam Bowie, the team picking after the Tigers in Miller’s draft year got Clayton Kershaw. Detroit rushed Miller to the big leagues and he got 13 starts for the Tigers in 2007. But that December, he became one of five prospects Detroit shipped off to Florida to get Melky Cabrera. The Gainesville, Florida native then spent three seasons trying to secure a permanent spot in the Marlins rotation but never did. 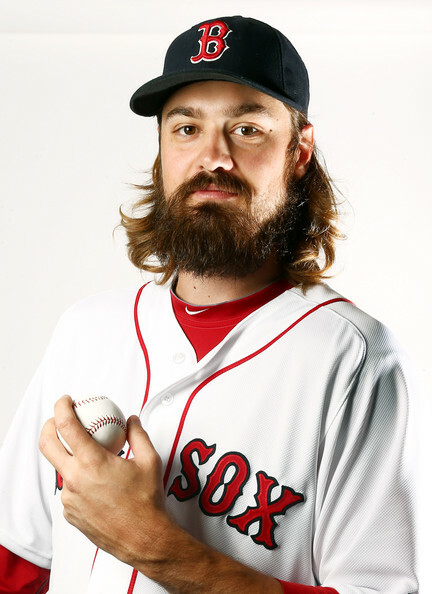 In November of 2010, Miller was traded to the Red Sox for pitcher Dustin Richardson. He got twelve starts for Boston in 2011 and won six of his nine decisions, but his ERA was a lofty 5.54 that year. In 2012, he was switched to the bullpen full time and has performed much better in that role. He got into 53 games as a reliever for Bobby Valentine’s 2012 ball club and posted an ERA of 3.35. He was then in the midst of putting together his best big league season last year when he tore ligaments in his foot and spent the second half of 2013 on the DL. His season ended with 37 appearances and a career-best ERA of 2.64. He’s off to a decent start in 2014 and since he turns just 29 years-old today, he still has plenty of time to make his mark on the big league mound. He’s a strikeout pitcher with a dominant fastball. His problem has always been control. As a starter, he needed to get four different pitches to go where he wanted them to go. Coming out of the bullpen, he only has to focus on one or two. I think Miller’s best years may be yet to come. 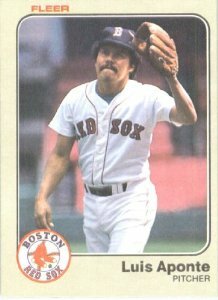 Red Sox Nation loved their “El Guapo,” all six feet and two hundred and fifty pounds of him. Born in Venezuela, Garces was signed by Minnesota as an amateur free agent in 1988, when he was just 17 years old. He made his big league debut with the Twins in 1990 but could not stick with the parent club. Minnesota gave up on him in 1995 and so did the Cubs and Marlins. The Red Sox then signed Garces that December and he spent the next three years bouncing back and forth between Pawtucket and Boston’s bullpen. It wasn’t until the second half of the 1999 season that he could finally unpack his suitcase for good and he was more than ready. He went 5-1 and posted an excellent ERA of 1.55. 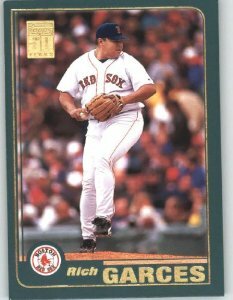 In 2000 he won eight of nine decisions and became a Fenway fan favorite. 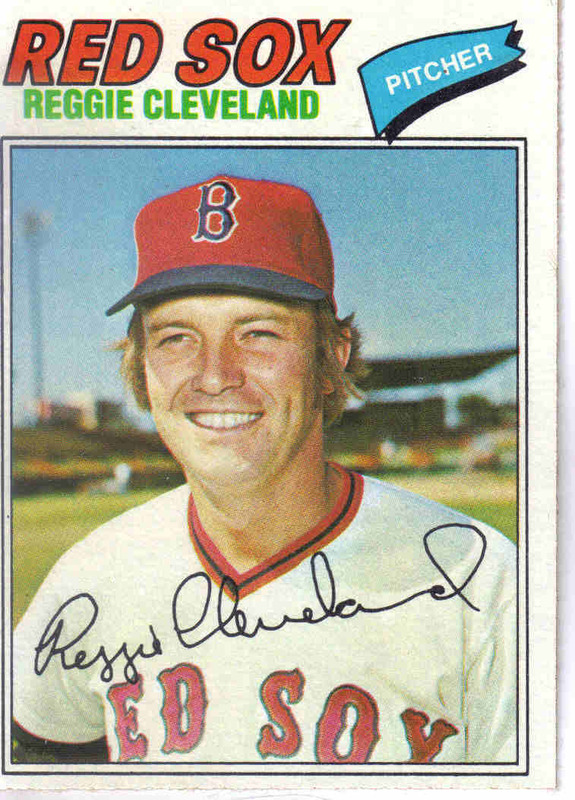 As soon as he’d emerge from the Boston home dugout, the crowd would begin chanting his nickname. His magic continued in 2001, when he went 6-1, making his three year record 19-3. Then for some reason, the Red Sox front office insisted he lose weight during the offseason. He did as they asked but in addition to losing that weight, he lost his fastball and his ERA in 2002 shot up to 7.59. After that season. Garces never again pitched in a big league game. The winning didn’t last long. In 1958 he tore his rotator cuff. The following May, the Yankees traded him and second baseman Jerry Lumpe to the A’s for Hector Lopez and Ralph Terry. Kansas City used him both as a starter and reliever for the rest of that ’59 season and he didn’t do well in either role. 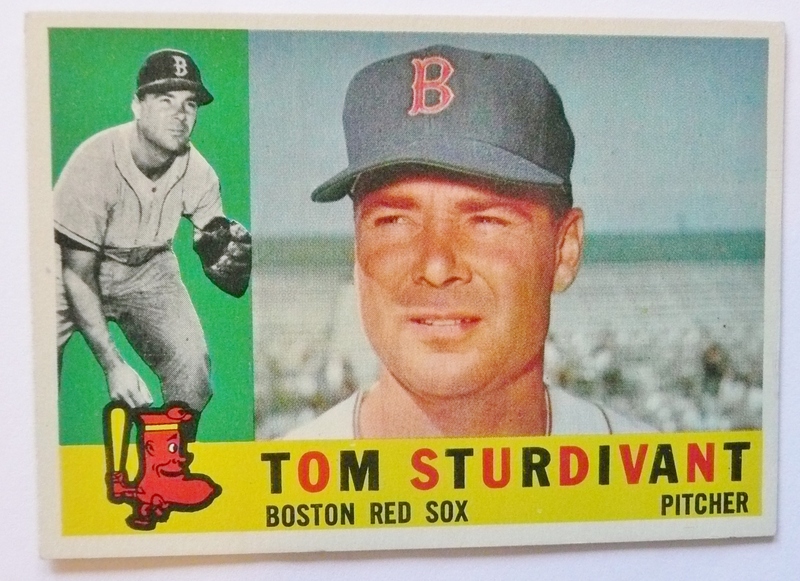 The fact that the Red Sox were willing to give the A’s their solid back-up catcher, Pete Daley for the struggling Sturdivant in December of 1959 is evidence of just how bad the Boston bullpen had been that year. Unfortunately, Sturdivant did not make it any better. He appeared in 40 games for Boston in 1960 and finished the season with a 3-3 record, one save and an ERA that was just a sliver under five. Though he claimed his arm had recovered completely, he certainly wasn’t proving it on the mound. 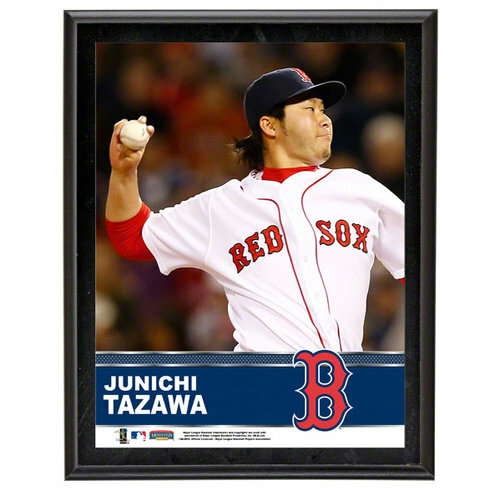 The Red Sox left him unprotected in the 196o AL Expansion draft and he was selected by the Senators. When he started slowly for Washington the following year, he was traded to the Senators where he actually pitched decently for two seasons. He spent his final big league days in a Met uniform during the 1964 season. He retired with a 59-51 lifetime record with 17 saves. He passed away in 2009 at the age of 78.